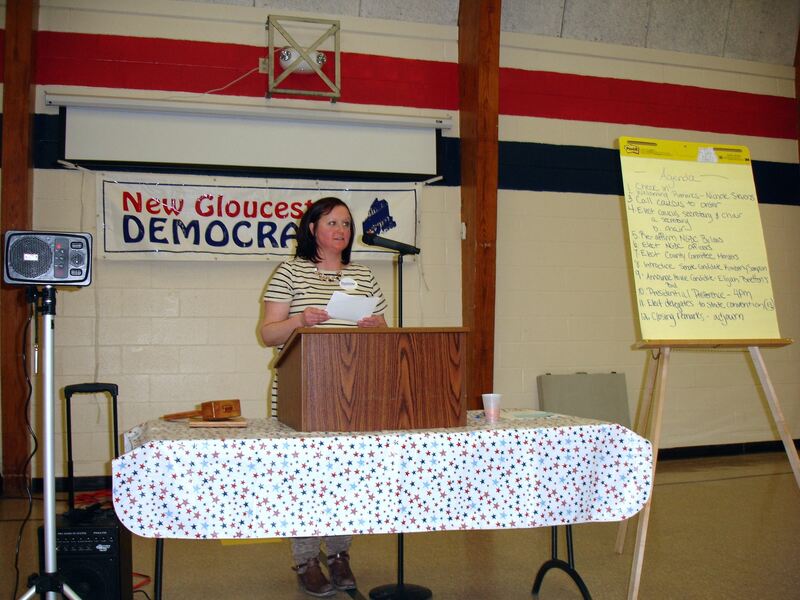 Top: Kimberly Sampson, candidate for State Senate District 20, addresses a large crowd at the New Gloucester Democratic Caucus on Sunday afternoon. 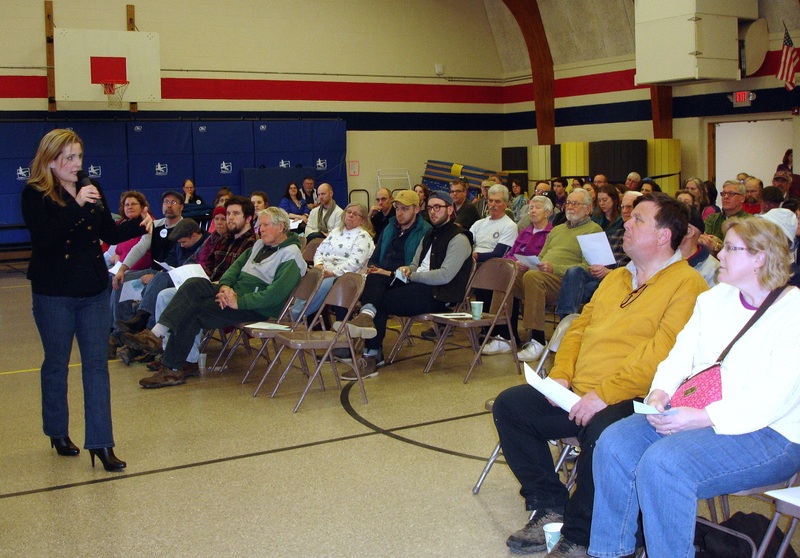 Nearly 200 enthusiastic caucus-goers were in attendance. Bottom: Caucus Convener Nichole Stevens conducts a smooth-running event at the Memorial School Gym, March 6. This entry was posted in Events, News, Other and tagged democracy, elections, local organizations, New Gloucester Democratic Committee. Bookmark the permalink.